Industry benchmarks. Competitive assessments. Best practices. Customer research. It’s all the standard stuff of responsible business-to-business marketing—but when it comes to uncovering and creating the kinds of innovation that will truly transform a business and its fortunes, that sort of “dead center” thinking may be dead wrong. Peripheries. Not one of the standard B2B buzzwords, and all the more intriguing because of it. Wolcott continued: “Peripheries are technologies or companies outside of the normal flow of your business, outside of your industry usually. They’re the ones out on the edges. They’re important because the big threats and the big opportunities come from the peripheries. They don’t tend to come from the middle of your industry because you already know everything your competitors are doing and they know everything you’re doing. Yes, companies need to keep an eye on the competition—but companies tend to get myopic. They get very very focused on what they’re doing now, what their direct competitors are doing, benchmarking it all to get at best practices. The thing is, you never become the best by just adhering to best practice. Because after you learn what a competitor’s doing, you’re likely to set up a team so you can do it, too. Pretty soon, two years has gone by and you’re doing what your competition was doing two years ago. I asked Wolcott what advice he would give marketers who find themselves in that “best practice rut.” He replied, “Part of what the B2B CMO and their marketing group should be good at is market intelligence—and I don’t mean just intelligence in your own market. Reach well beyond your category to find practices, technologies, offerings, business models that could be transferred and translated into your business, into your industry and markets. Why do you want to innovate–what’s your real purpose? Innovation is often mistaken as a goal unto itself. First ask yourself how is “innovation” expected to impact your organization: Do you seek breakthrough products and technologies that can move you into new markets? Are you trying to find more efficient ways of conducting the core business? Are you looking to spark a cultural and mindset change throughout the organization? The discussion that accompanies these questions, often raises another set of fundamental inquiry about purpose: What’s our vision? Why do we matter? What difference do we make to our customers? What do we want to become? Until you’ve answered these foundational questions, you’ll have a hard time coherently building your brand and business through innovation (or any other means). How much of an explorer are you—really? Next, ask yourself honestly—how much exploring outside your own industry do you currently do? Are you a Neil Armstrong, taking giant leaps into totally new worlds for your organization? Or are you too comfortable staying at mission control and letting others do the exploring? That last point touches on one of the biggest challenges for any executive—available time. If your schedule truly doesn’t allow time for the above, get creative. For instance, you could sponsor a grad school class or team and challenge them to explore and report on the most promising peripheries for your business. How can you best share what you discover? Finally, ask yourself how you can most effectively share what you’ve discovered. 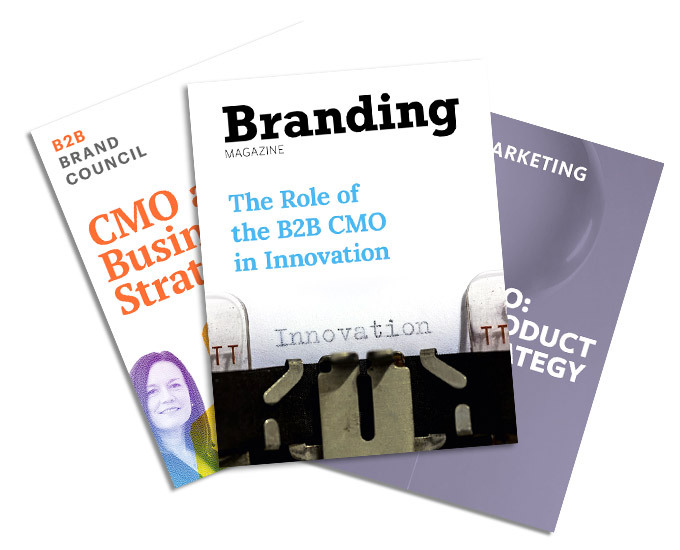 CMO’s and marketing leaders are naturally in a position to help inspire new thinking, encourage others to explore and, above all, create a new and larger aperture through which your organization can envision a more innovative future. Organization-wide communication about innovation: Curate your findings into a quarterly newsletter or other creative communication vehicle—think about how message delivery can be as innovative as the messages delivered. Leadership presentations: Schedule semi-annual executive briefings. This will allow you to inform top leaders about relevant advances outside your industry, and spark conversation about how those could apply to your organization. That discussion will also help you surface the areas of highest interest to the C-suite, and fine-tune your future exploration and briefings. The responsibility to reliably hit targets, especially in the short term, understandably has marketers thinking about the “dead center” of what’s been known to work in our industries. However, as Wolcott and others point out, if you want to innovate, stay relevant and even leap ahead of your category pack, that kind of thinking may be dead wrong. Bob Domenz is the CEO of Avenue, the Chicago-based marketing strategy and activation firm helping mid-size B2B firms drive growth and change. He is also the Founding Director of the B2B Brand Council.